Find all available vehicles and unlock requirements in Just Cause 4 in this comprehensive list. Use this as a reference to check on your favorite ride or how to get them! What Vehicles Are There in Just Cause 4? 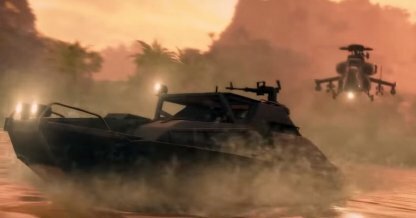 In Just Cause 4, there are over 100 types of vehicles you can use to freely use during your adventure. These vehicle includes civilian cars and bikes, helicopters, military tanks, warships... and more. By completing mission or liberating specific region will unlock access to specific vehicle call-ins by Rebel Drops. You can call your Pilot at any time to supply you with any unlocked vehicles as you see fit. You may farm Chaos Points by destroying objects and facilities that are marked with a red paint. These objects, from radio towers to gas tanks will yield Chaos Points upon destroying them. Weaponized vehicles such as an Attack Helicopters or tanks are perfect for this job!